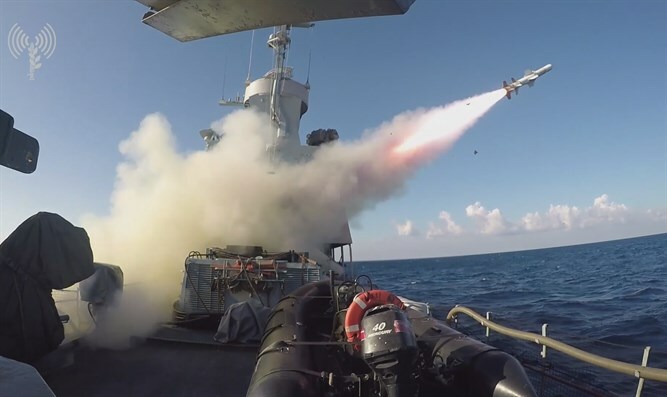 Elite Shayetet 3 unit destroys 'enemy vessel' with ship-to-ship missiles in training exercise. The Navy's elite Shayetet 3 unit participated in a first-of-its-kind exercise Wednesday. During the exercise, dubbed the 'Sea of ​​Rage,' the unit trained in missile combat against an enemy vessel. As part of the exercise, an "enemy ship" sought to blow up the offshore gas rig and the navy's three destroyers destroyed the ship by accurately firing four sea-to-sea missiles.